The Canuck Place Adventure Race brings together Canuck Place supporters in a family-friendly day of biking, running, and completing a fun obstacle course, all while fundraising for Canuck Place. 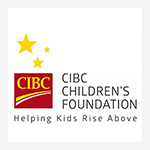 In the middle of it all is an adaptive course, just for kids on the Canuck Place program. It’s an exciting display of community support, and the perfect background for a Best Day Ever. The recreation therapy team uses trail riders and specialized bikes to allow families to complete the bike and running courses before turning their attention to the obstacle course. It’s designed to be completed on foot or in a wheelchair – and kids are usually accompanied by siblings and even therapy dog, Poppy. Fifteen-year-old Jayda is diagnosed with CHARGE syndrome, which affects mental and physical development. Doctors said that she was unlikely to ever learn to walk, take part in every day activities, or eat orally. In 2004 her dad was told she only had six months to live. But she’s proven all of those predictions wrong. She has been walking for four years, and her heart condition tires her out very quickly. 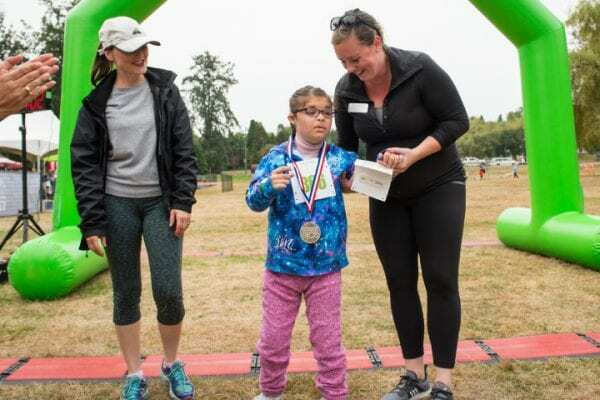 But after completing the biking and running legs with accessible devices, she wanted to complete the obstacle course on foot, aided by the recreation therapy team. Watching her cross the finish line was a highlight of the day. “Watching Jayda do anything is simply amazing, it is a true miracle as the doctors said she would not be able to do what she is doing,” says Paul. A Best Day Ever at Canuck Place can be bittersweet. A potent mix of pride, heartbreak, and hard work. You can help provide Canuck Place families like Jayda’s. Donate today. Or learn more about the Canuck Place Adventure Race.